Swords Kit Rae There are 5 products. 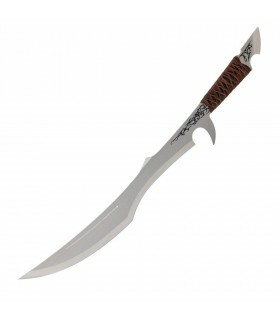 The Sedethul sword with stainless steel blade AUS-6 laser etched with the trademarkkit Rae®. AND mpuñadura lined in leather. P>One of the three swords Avonthia. 3 brothers were sons of a king of antiquity who were accused of prisoner immortal spirit dark in the depths of the earth. Short Sword Kit Rae Mithlotok fantastic. 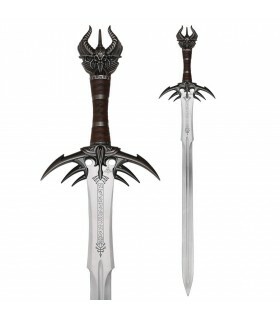 With stainless steel blade and leather-wrapped handle. It includes leather sheath. 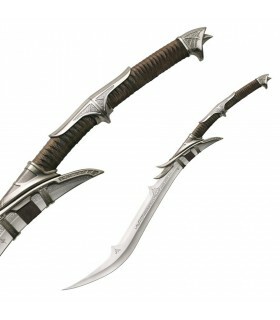 Kit Rae is one of the designers of the most important fantasy swords appearing in series and Hollywood movies. Mithrodin sword designed by the famous © 2005 Kit Rae . 420J2 tempered steel blade with engravings. Handle covered in leather. Includes certificate of authenticity. 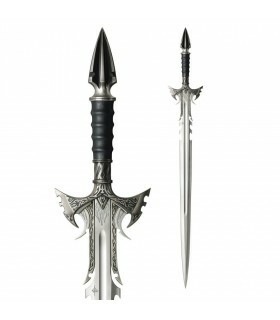 Anathar's original sword of power from the signature Kit Rae. 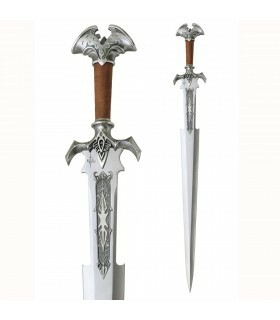 Reissue of this sword with blade in stainless steel 420 J2 and handle wrapped in leather. Includes certificate of authenticity.